Hydraulic (Zinc & Non-Zinc), Biodegradable, Specialty Lubricants, Greases and Synthetic base oil stock options available to the greater Seattle region. Industrial Lubricants are designed for general use applications to highly specific purposes with performance needs in mind. We stock a full portfolio of various lubricants and greases to accommodate for high-temp, high-load, biodegradability and fire-resistance. Many industrial lubricants are designed to meet or exceed National and International industry classifications, standards, certifications and approvals. Our venders work closely with leading equipment manufacturers to obtain OEM (Original Equipment Manufacturer) approval and factory fills. The quality of lubricant should be carefully chosen based on the specific application, special needs and impact on the equipment’s total cost of ownership. Top-tier and advanced formulations aim to drastically increase efficiency and lubricant life and decrease downtime to drastically offset the slight increase in product cost with the savings for an overall decrease in the total cost of ownership. 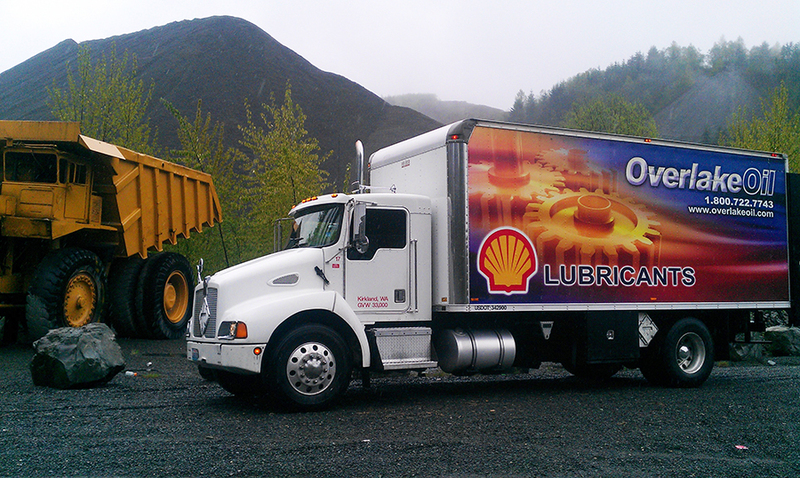 Lubricant companies all claim to have the highest performing products on the market; we like to prove it. Backed by some of the biggest brands in the world, Overlake Oil’s products and solutions have proven their ability to decrease total cost of ownership time and time again. Companies that believe in opportunity, innovation and success choose Overlake Oil as their lubricants partner to keep their maintenance practices and budgets in check.